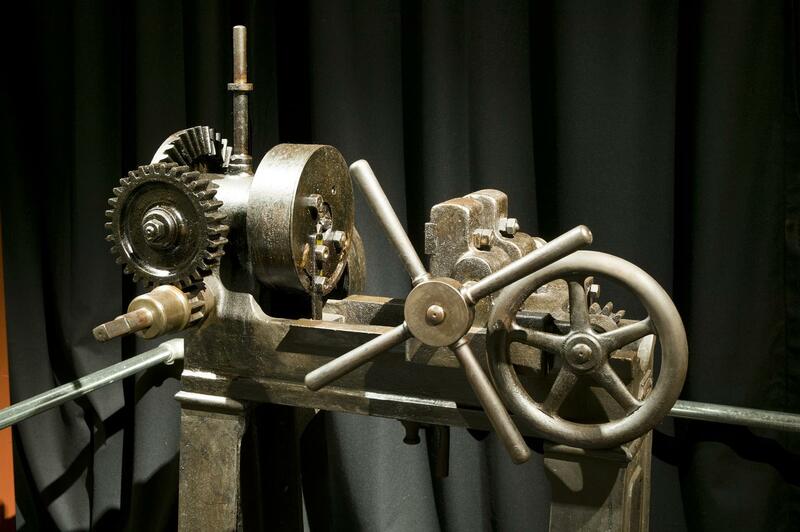 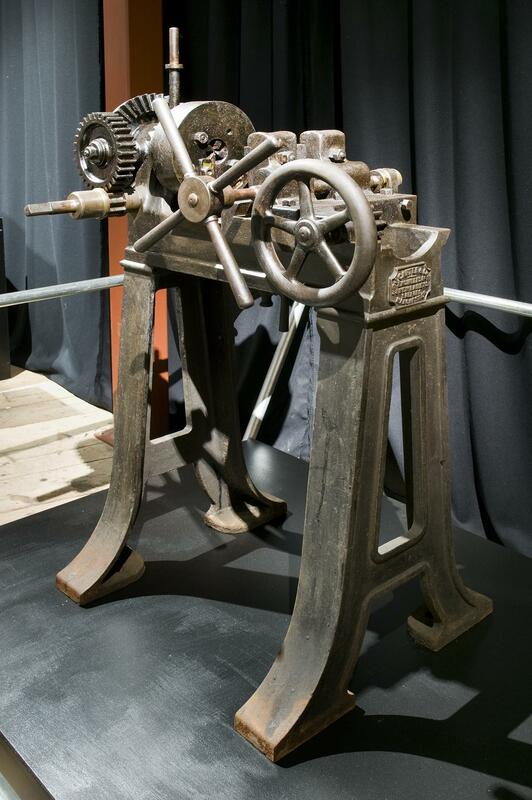 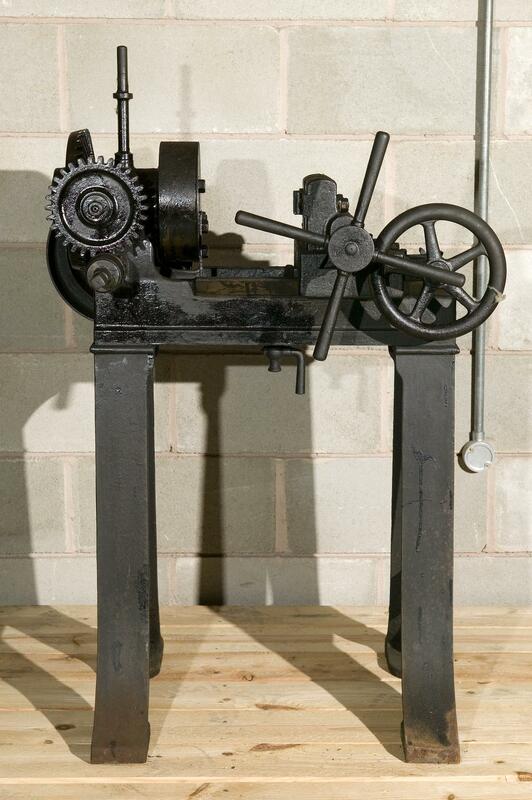 Thread cutting machine made by J. Carter & Company; machine with set of dies for cutting Whitworth threads. 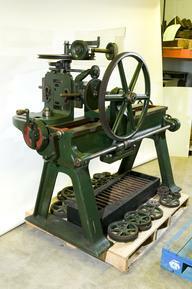 Work piece held in clamp on horizontal slides. 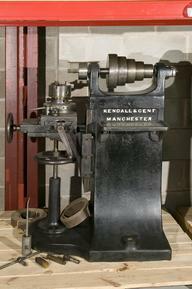 Cutting head turned by bevel gears and three speed flat belt pulley. 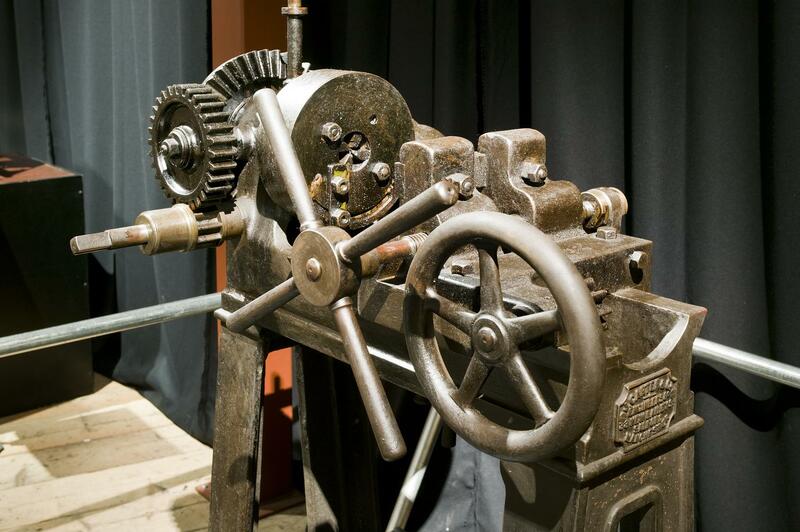 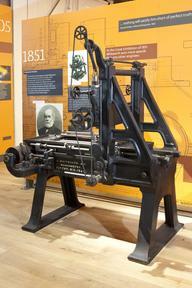 This machine was used at Derker Mill, Oldham.